Hello Friends! If you've followed my blog from the beginning, you know I started out blogging about fashion and sewing. It was my plan to share sewing tips and guides. Unfortunately with working full time, blogging, and the technical challenges involved, the sewing part went mostly by the wayside. Instead, I focused on another love of mine: travel. Anita by Design! What an inspiration she is! Anita has only been blogging since Jan 2016, and she is becoming an internet sensation! She is an amazing seamstress or should I say sewist: that is the buzz word now! I connected with Anita just a few months ago. 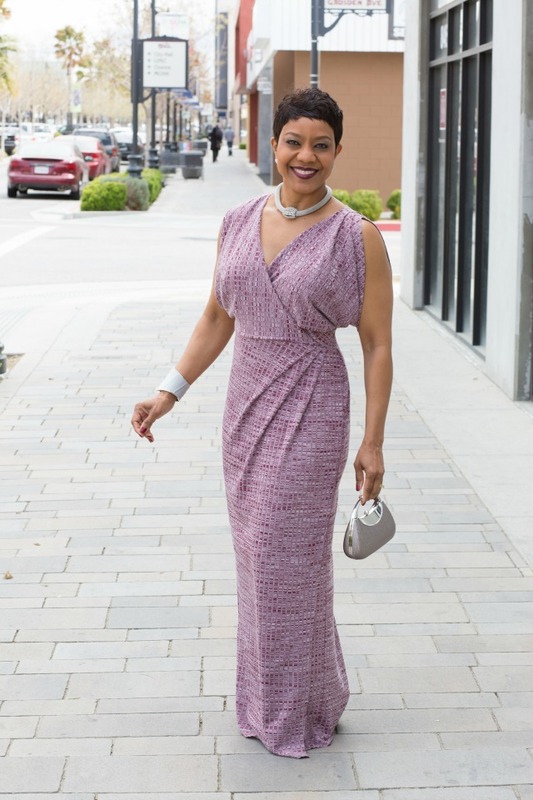 We met via a blogging campaign for women in midlife called The Fierce 50. I found out quickly, sewing is her passion. She is very blessed with an amazing talent, and loves to share it. I immediately felt a kindred spirit, and it's been a blessing getting to know her. It was cool to find out she also learned to sew in junior high like I did. It's sad, it's a lost art at school. Alright, enough blabbing and onto the interview! 1)Tell us a little about yourself- how long you have been sewing, and why you decided to blog about it. I am a woman of God, a wife, mother and seamstress. I mention woman of God first because it is my faith that guides and directs my choices in life. I am married to a recently retired Los Angeles City Fire Captain. We have two adult sons, ages 19 and almost 21. Sewing is my passion and I want to share it with anyone who will take interest. I learned how to use a sewing machine and create stitches in my 8th grade home economics class. While I enjoyed the class, I didn't pursue the craft at that time. It wasn't until my mid-twenties when I became interested in learning to sew for myself. I found a lady who had a private studio where she held sewing classes and taught me the basics of sewing. I was instantly drawn in and picked up on the techniques rather quickly. I sewed for about a year or two then quit because I got married and started raising a family. In 2013 I started sewing again. Then in 2014 I was introduced to the Mimi G. Style Blog, and that's when I became more interested than ever to sew again. After attending her annual conference and joining her private facebook group, I started sewing more frequently. Eventually, I found myself taking her Blogging 101 Course, watching YouTube tutorials on how to start a blog. 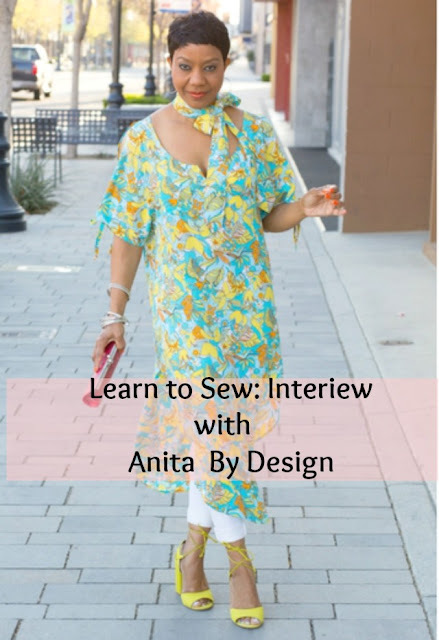 I followed the steps I was learning and Anita by Design was launched on January 20, 2016. 2) I know that you share sewing tutorials on your blog and on youtube, tell us what has been the most rewarding about this experience? I'm very encouraged by the feedback I receive from people, letting me know that they're indeed learning to sew. That is enough to keep me going. When I hear women (and a few men) say that they're able to follow along with the videos and have begun creating their own garments, my heart is full. 3) Recently you became part of the team for the Sew Sew Def Magazine that Mimi G is publishing: This is so exciting..tell us a bit aboutthe magazine and how this came about. Sew Sew Def Magazine is a multicultural magazine for men and women. It is the first of it's kind, and I'm beyond excited to be part of the team of contributors. Mimi contacted me and asked if I would be interested in being a contributor, and of course I quickly accepted her invitation. She assigned me to the "Beginner's" section because she saw my interest in teaching basics. I was so happy when she revealed that I would write about sewing basics, because new beginners are dear to my heart. I remember how hungry I was for information when I was a new beginner. I want to give back what I'm receiving. 4) What is your favorite piece of clothing to sew? 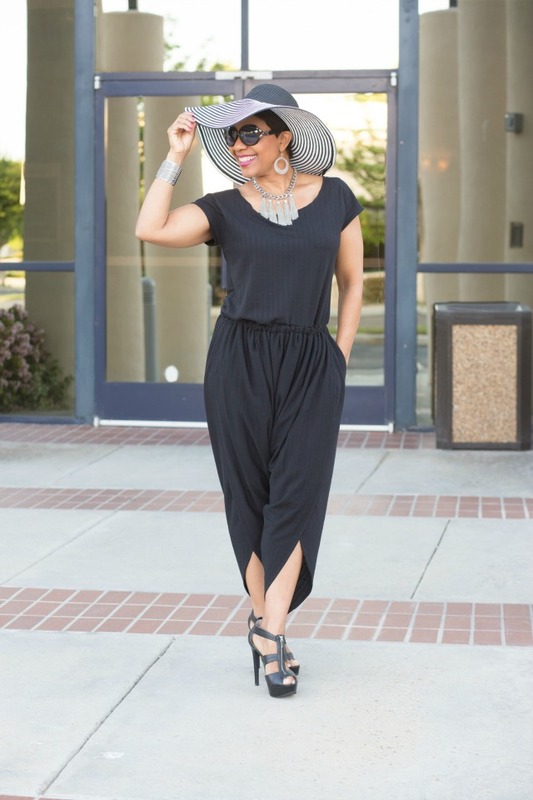 My favorite garment to sew is the maxi dress. I guess that's my favorite, because it's the type of garment I like wearing the most. There are so many styles and fabrics to choose from, so the possibilities are endless. If I had a closet full of maxi dresses, it wouldn't be too much for me. 5)What is your greatest sewing achievement so far? My greatest sewing achievement by far is the Sewing 4 Haiti initiative I joined in 2016. Along with a group of other seamstresses, I was able to sew 10 dresses and send them to the coordinator of the initiative to be shipped off to the 4HNYC, who then took them to Haiti. It felt so good to sew with a mission in mind, to sew for someone in need. It doesn't get any better than that. We are now in the second round of Sewing 4 Haiti, and this time we're sewing for the boys. In the first round most of us made dresses, so Shun Davis, the coordinator, designated this round for the boys. If anyone is interested in joining you may go to shundavis.com to get information http://www.shundavis.com/2017/03/sewing-4-haiti-boys-edition.html, or join the private facebook group, https://www.facebook.com/groups/1150537261707134/. 6) If someone has never touched a sewing machine, what is your advice to them if they want to start sewing? (A) Know your own personal style. This will help you to sew garments that complement YOU. (C) Be patient with yourself. Learning to sew is a process that takes time. 7) As seamstress we love to dream of designing our own patterns or collection, any plans to become a designer? Yes, I would love to design my own patterns. I have already purchased books and watched a few YouTube tutorials to get an idea of what's involved. However, before that happens, there are other areas that I must master. I will take it slow and allow God to guide me along the way. We'll see where it all leads. Thank you Anita for taking time to share your story, I can't wait to see what you do next! For more sewing inspiration follow Anita on Instagram, Twitter , Facebook, and Pinterest. I 'm sure you enjoyed hearing about this beautiful lady as much as I did. Do you have a creative talent you'd like to learn? Id love to hear in the comments! This is sew fun! (sorry, I had to!) But actually, very interesting interview! Thanks for sharing! Ha Bri, I love the pun!! Thank you for visiting, have a great day! Thank you so much for sharing Valerie. I appreciate you. To answer your question, I would really like to learn how to sketch. It goes hand in hand with sewing and designing. Have a beautiful day my FIERCE sister. NO Thank you Anita.. you are a doll and I am so glad and honored to know you and I cant wait til I meet you in person! Blessings my sister! Thank you Cheryl have a lovely day friend..she is pretty awesome! Wow! Anita is a great seamstress (sorry, old school here) and I'm glad to learn she has tutorials. I've sewn for years, but always avoided knits. Her knits look perfect. Inspiring! Hey there Lady..I have always had problems with them too..so I prob need to visit some her tutorials too and brush up..thanks for visiting! I can't even sew a button onto a shirt (so embarrassing), this is so inspiring! Ha ha Giulia, well if you can do that..you are on your way! Thanks for stopping by today! Old School New Body Review Many people who work out at the gym have no idea behind why their muscles are getting bigger as they lift weights. Here is a very basic explanation of what muscles are made of and what makes them grow. Muscles are composed of three types of basic fibers: slow twitch fibers, fast twitch fibers (A), and fast twitch fibers (B). Manifestation Miracle Review It can take a long time for a person to build up muscles in the gym without NO3. If you are serious about it you should go at least 5 times a week, eat properly, and be very serious about your success. If you are not careful you can easily miss a workout and lose the muscle that you have been working hard to get. google sniper 3.0 The amount of items in your home that could be cleared out and make you money continues to grow. When you donate unwanted clothes and get cash for clothes you win in both regards. You don't have so much clutter in your home. You can make space in your closet for what you do wear. Items aren't crammed in there and you don't have to dig around to find what you want. Get writing help from certified PhD writers at best price. Our expert writers are ready to assist you by providing top-notch Cambridge Essay Help, Oxford Assignment Company, Philips case study and many for to those students who want to make their future bright. I like the style of your writing content. It just amazing and excellent. The blog post is very connective and attractive. All the information I found in post is very useful.keep it up blade runner shearling coat online,you are doing great..